SBP commenced its operations with a group of developers. Riding on the growth wave of real estate, the group made a strategic shift into constructions of apartments and mini-township; from then on, it transformed into a new breed of builders and carved an enviable niche for itself in the real estate arena,offering great quality of living spaces at extremely competitive prices. SBP Group specializes in providing qualitative and quantitative solutions for the real estate business around Punjab, Himachal, Haryana, Chandigarh, Panchkula, Zirakpur and Mohali. By having a thorough and in-depth knowledge of the two prime sectors residential & commercial projects. We are providing all type of flats (1BHK, 2BHK, 3BHK, Individual flats and studio apartments) based on the customer needs. Our projects has fully functional club & is loaded with ultra modern amenities & some outstanding Modern Features. We have not make only structures but we create spaces where life breathes, happiness multiplies, families come together & individuality. This gave SBP customers sense of loyalty and reliability, resulting into unrivaled trust and trademark of company. Sbp City Heart is the finest Commercial organized market, promising business avenues in the light of future. The project will be the classiest, unique & biggest ever high street commercial space project in that place. 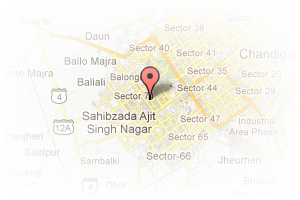 Address: N.H-21 kharar-chandigarh road, Kharar, Mohali, Chandigarh, India. This Builder Profile page for "SBP Group" has been created by PropertyWala.com. 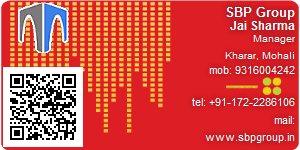 "SBP Group" is not endorsed by or affiliated with PropertyWala.com. For questions regarding Builder Profiles on PropertyWala.com please contact us.